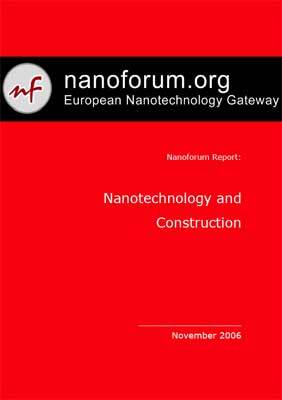 This report describes the impact that nanotechnology is having in the construction industry. It includes an analysis of applications in concrete; steel; wood; glass; coatings; fire protection and detection; and sustainability and the environment. A survey of experts in the construction industry reveals their opinions on the understanding of nanotechnology by the industry, where R&D is going and what might be needed to achieve these goals.